I'm from Barcelona, Spain. I have 31 years old. Filthy casual as you might say since all my raids progress were made with pugs. My charracter is Casualties-Doomhammer, 120, 392 ilevel atm. I main outlaw and as dual spec I have subelty, though I dont own good daggers. Played alot of years on US realms and decided to move to EU finally because of my schedule. Giving that our realm is not that populated and beginner friendly, there aren't many decent guilds with raid progression. So I've looked at raider.io rankings, raid score and m+ score to decide what guild is best for me. 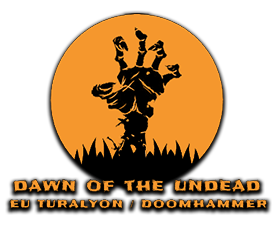 Dawn of the Undead came first to my choosing. I also like the name:D. My reason is that I want to progress into raids without spending a fortune on consumables and repairs. I also want to farm m+ and raids with the same group because that way we can trade items and gear eachother. I also have alts that I'm leveling up but they are mostly for xmog and proffessions. Oh yes, I was in a guild before, made 2 firends there but the guild has like 2 -3 actives. Hey Damnation and thank you for the application. Unfortunately our raid roster is looking quite full atm, especially in the melee department, having 3 rogues already + multiple other classes. We do appreciate you looking us up beforehand, but if you do want to actively raid, I think you should try and keep looking. As of now we simply cant fit in more melee in the raids and we try not to recruit people to permanently bench them. If you got any questions, feel free to poke any Officer online for a chat.